Auto Debug Version 5.0 can use VBScript or JScript to cantrol the monitor. 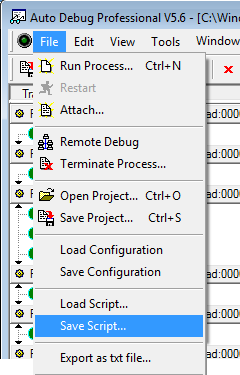 From [File]-[Load Script] to load script to start monitor a process. And also you can use [File]-[Save Script] to created a VBScript or JScript to save the current api filter setting.